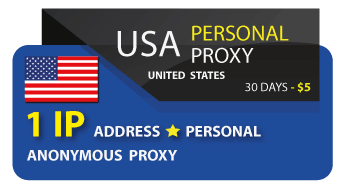 We sell exclusive proxies to those users who are already familiar with the work of our service. 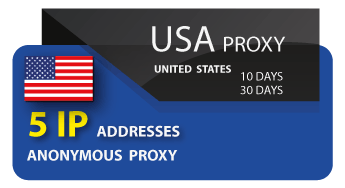 Money for exclusive proxy packets is not returned. Are sold not less than for 30 days. Anonymous proxy. 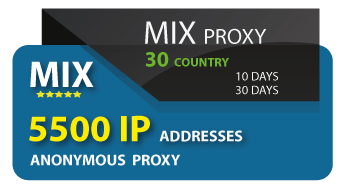 Proxies server. 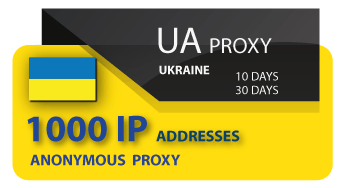 Proxy IP V4. Proxy USA, Germany, England, Russia, Croatia, Vietnam Gibraltar, Holland, Hong Kong, Egypt, Ukraine, Indonesia, Iran, Italy, China, Luxembourg, Norway, United Arab Emirates, Poland, Pakistan, Singapore, Turkey, Croatia, Switzerland, Czechia, South Korea, South Africa, Japan, Moldova, Kazakhstan. 100% working proxies! Stable anonymous proxies. Instant purchase! No need to register on the site! High speed proxy. Unlimited traffic. Broadband communication channel. It isn't required any software if you don't need it. You can operate using the ordinary browsers. 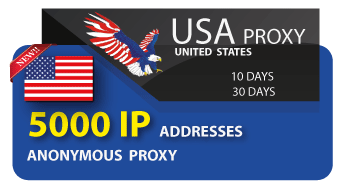 Exclusive proxy 100000 IP from 30 countries. Europe, USA, England, Russia, Germany, Gibraltar, Holland, Hong Kong, Ukraine, Vietnam, Egypt, Indonesia, Iran, Italy, China, Luxembourg, Norway, United Arab Emirates, Poland, Pakistan, Singapore, Turkey, Croatia, Switzerland, Czechia, South Korea, the republic of South Africa, Japan, Luxembourg. 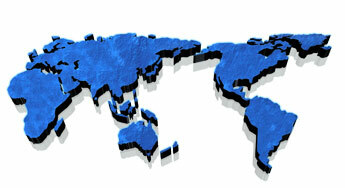 After the purchase, (if necessary), you can use the free filter of IP addresses by country and city. Just write to us, and be sure to send your account. Answers to frequently asked questions, read the menu Support - FAQ. 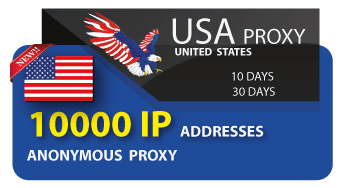 Exclusive 50000 proxy from 30 countries. 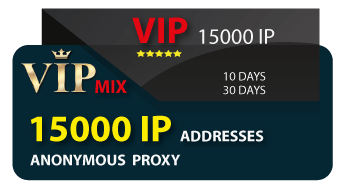 Exclusive 25000 proxy from 30 countries. 15,000 proxy from 30 countries. 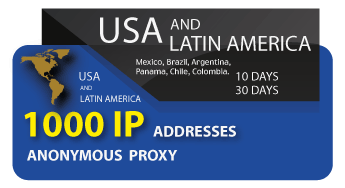 5500 proxy from 30 countries. Russia, Ukraine, USA, England, Vietnam, Germany, Gibraltar, Holland, Hong Kong, Egypt, Indonesia, Iran, Italy, China, Luxembourg, Norway, United Arab Emirates, Poland, Pakistan, Singapore, Turkey, Croatia, Switzerland, Czechia, South Korea, the republic of South Africa, Japan, Luxembourg. When buying the next package, there is generated another list, which can differ by 75%-85%, but it should be up to 3 purchases only. When buying the 4th and following packages of this list, IP difference will make already about 5% or 7%. Work through proxy, Login / Password, and with reference to the IP provider. Mexico, Brazil, Argentina, Panama, Chile, Colombia. Protocols proxy: SOCKS5, HTTPS, HTTP. The same Login / Password are used for operation with programs, as for activation of an account in a back office. Albuquerque, New Mexico and other. 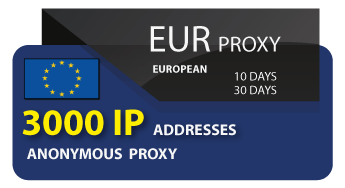 3000 proxies from European countries (England, Germany, Italy, Poland, Croatia, Holland, Luxembourg, Norway, the Czech Republic). 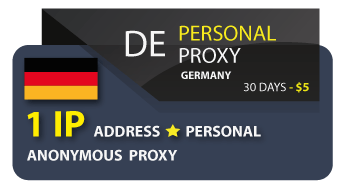 Work through proxy, Login / Password, and with reference to the IP provider..
1000 proxies from European countries (England, Germany, Italy, Poland, Croatia, Holland, Luxembourg, Norway, the Czech Republic). 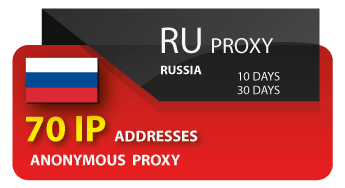 These proxies (350 IP) work with XRumer, Allsubmitter and other programs for registrations. but there may happen the same IPs, as they are automatically generated from one package (US IP) proxy. 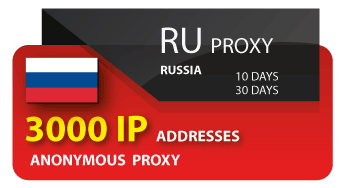 but there may happen the same IPs, as they are automatically generated from one package (RU 3000 IP) proxy.